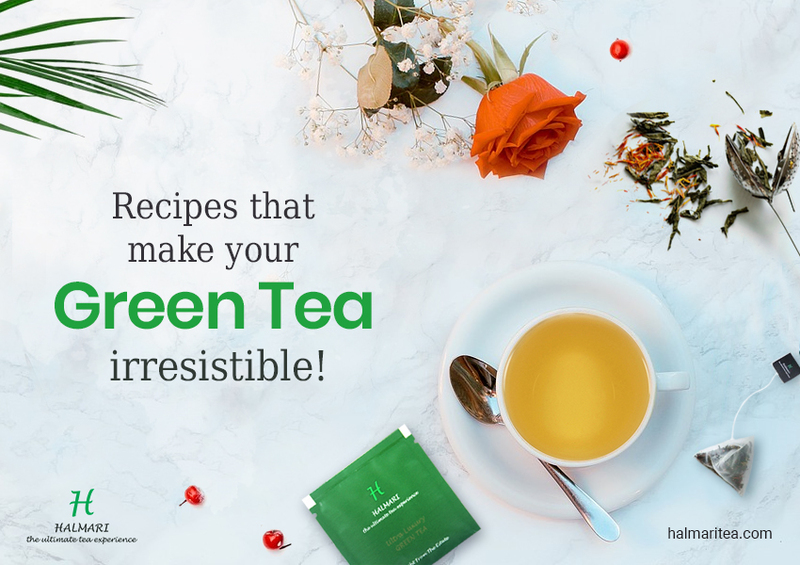 Buy Best Jasmine Green Tea Online to Remain Fit and Healthy! 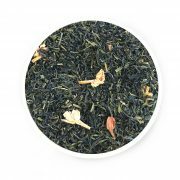 Tea Leaf: Best loose leaf jasmine green tea, with jasmine buds sprinkled on top. 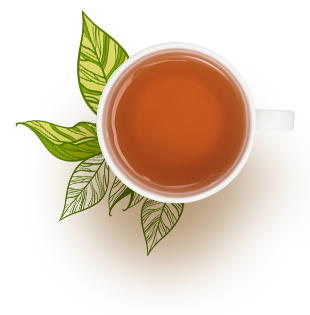 Tea Bag: Smoothness of both green tea and jasmine for a scrumptious and light tea. 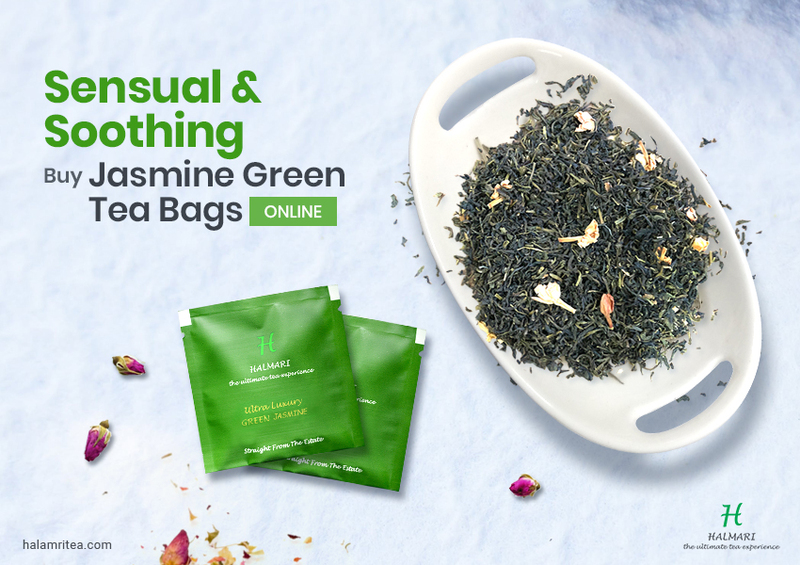 Buy Jasmine Green tea to calm your mind and give a healthy start to your day. Coming all the way from Assam, this tea can be brewed for 3-5 minutes using 1.5g-2.5g of it. It yields best during summer’s second flush season and needs to be stored in cool, dry places for the best taste. Medical experts ask you to drink about 2 to 3 cups of Jasmine Green Tea daily. The exquisite aroma soothes your senses and helps your body to relax. 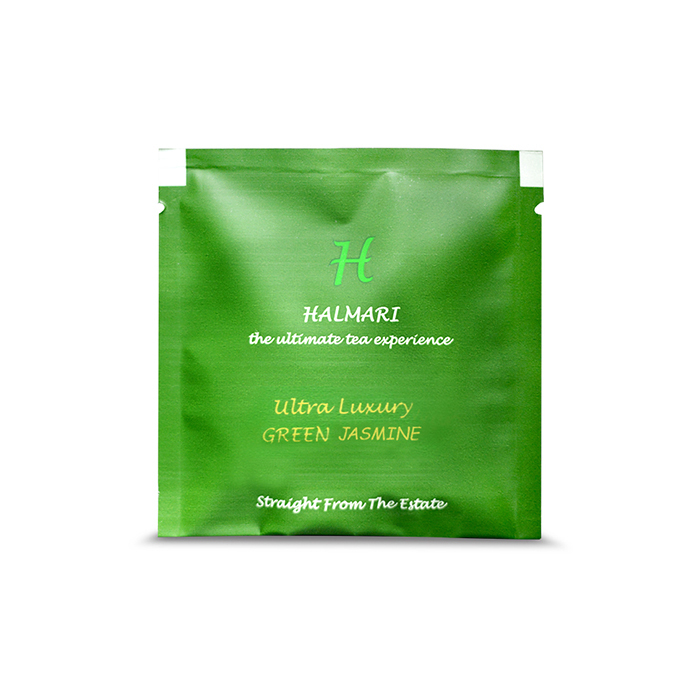 Try Halmari’s premium jasmine green tea now! I drink 2 cups of Halmari’s jasmine green tea daily. What I would suggest is that if you have it, you would surely remain energetic the whole day. It takes the tiredness out from your body in a jiffy! 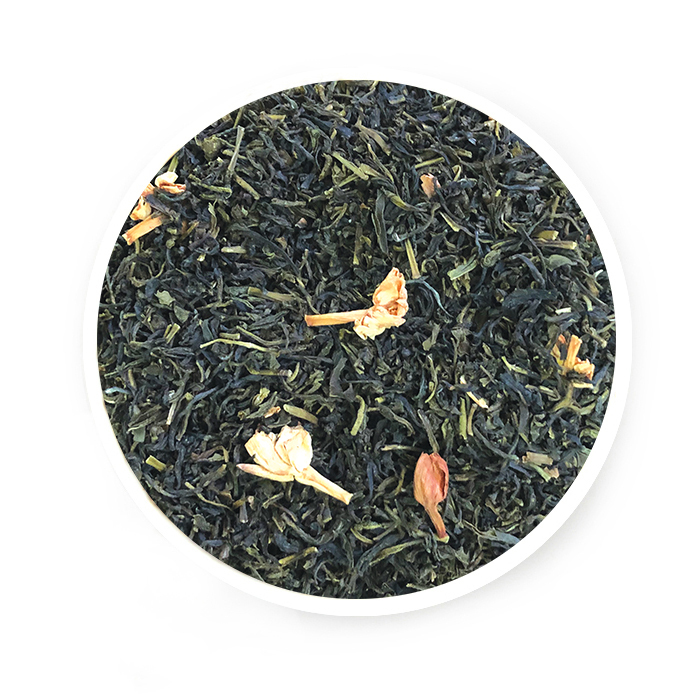 Smoothness of Green tea with an enticing aroma of Jasmine is what this blend is all about. Simply divine! Trust me, a cup of Halmari’s Jasmine Green tea is all you need every morning to kick the lethargy out of your body.